Dr Alister MacKenzie believed that golf was the best medicine for many of his patients. His interest in golf became a passion and he became a legendary golf course designer. Among the MacKenzie courses revered by golfers all over the world are Royal Melbourne in Australia, the American courses at Cypress Point, Pasatiempo, Crystal Downs and most importantly Augusta, the home of The US Masters. 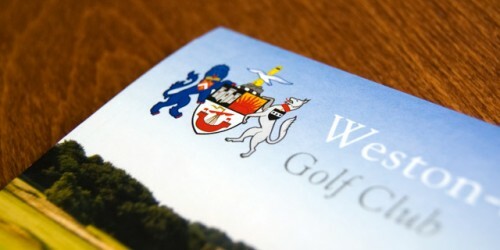 In the United Kingdom, MacKenzie courses number over 50 including the Alwoodley and Moortown Clubs in Yorkshire and Weston-super-Mare. Nicknamed “The Course Doctor” Alister MacKenzie was born in 1870 to Scottish parents in Yorkshire and christened Alexander. He died in 1934 in California leaving behind a blueprint for future intriguing golf course design and a legacy of classic golf courses. 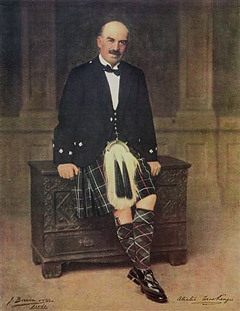 A graduate of Cambridge and Leeds University with degrees in chemistry, medicine and natural science, MacKenzie joined his father’s medical practice but was then called away to serve as a field surgeon in the Boer War where his observations of the Boers’ concealed trenches first nurtured some design ideas for golf courses. In 1914 MacKenzie grabbed the national spotlight by designing the “ideal” golf hole in The Lido Design Competition sponsored by Country Life Magazine and judged by Bernard Darwin of the Times newspaper, who started to speak very highly of the courses designed by MacKenzie. During the First World War MacKenzie’s expertise in camouflage was put to good use. After the war he returned to medicine but then abandoned his medical practice in favour of golf course architecture. His decision to do this was in part down to his conviction that golf had very real benefits for patients. Within a couple of years MacKenzie wrote a book entitled “Golf Architecture”. A second book “The Spirit of St Andrews” although written in 1933 was not published until 1995. 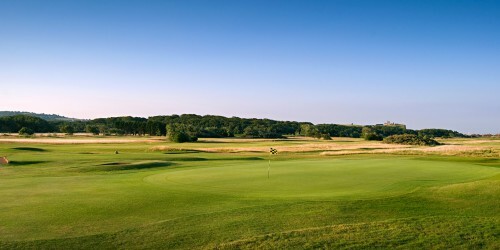 MacKenzie’s early course design work involved a number of Yorkshire clubs notably Alwoodley, Moortown (the host of the 1929 Ryder Cup), Ganton and Ilkley. 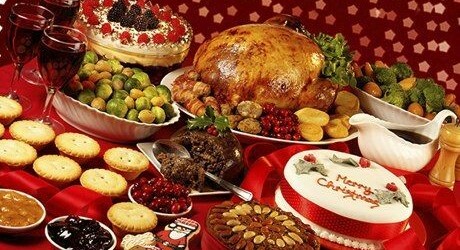 His subsequent globetrotting career encompassed the USA, Canada, Australia, New Zealand, Europe and South America. As many as twelve of his layouts have been rated among the world’s top one hundred. MacKenzie’s maxims were realised at a host of courses throughout the 1920’s culminating with his 1928 design of California’s Cypress Point Club and Pasatiempo. A year later after the great Bobby Jones had played both these courses, Jones became convinced that Alister MacKenzie was the man to build his dream course – The Augusta National Golf Club, home of The Masters, which embodies MacKenzie’s precepts. Dr MacKenzie was remembered affectionately as a robust man. Although affable and tactful he was forthright and had a clear view not only on the designs of golf courses, but on the game itself. He belittled those who played in the “card and pencil” spirit as opposed to embracing golf with the “spirit of adventure”. 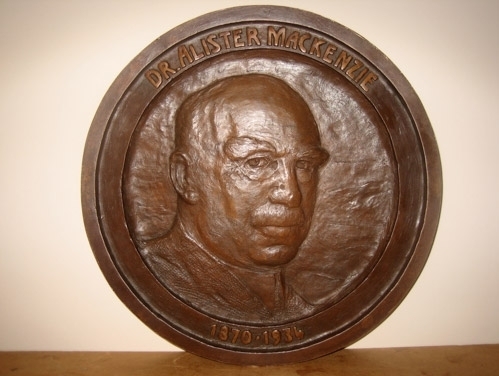 Dr. MacKenzie’s achievements are celebrated at the annual MacKenzie Medallion Competition of the Alistair MacKenzie Society of Great Britain & Ireland and hosted on a rotating basis by the Societies Clubs. In September 2011 Weston-super-Mare Golf Club sucessfully hosted the MacKenzie Medallion Competition, welcoming members from other ‘MacKenzie’ clubs in the spirit and traditions preached by our illustrious course designer. 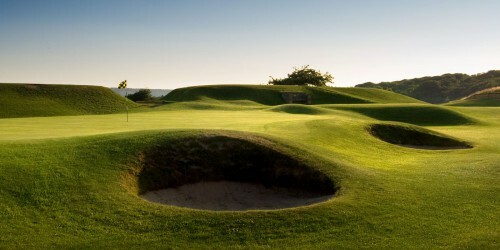 Weston super Mare Golf Club was delighted to win the MacKenzie Medallion for the first time.